Eating together at home is a time-honored practice among Filipinos, but the daily demands of work and school—not to mention traffic—are making it harder to sit with family at the dinner table. “Mealtimes with family aren’t just about enjoying home-cooked food. Important conversations often happen during dinner, allowing families to nurture values and strengthen relationships,” said Leny Agdamag, Haier’s Product Manager for Small and Kitchen Domestic Appliances. The time spent when preparing meals is a huge factor in why people are opting to eat whenever they can to and from school or the office. Good food, however, does not necessarily require too much time in the kitchen with the right microwave and oven toaster. An electric oven can make short work of breakfast in 10 to 30 minutes. But don’t just settle with the usual morning toast. One easy recipe is tortilla pizza. Just spread marinara sauce over tortilla bread, sprinkle some cheese, and top it with sliced tomatoes, onions, and mushrooms. Add pepper and herbs for flavor. For something sweet, soak sliced bread in a mixture of eggs, milk, and sugar to make French bread. After toasting, slather each side with butter and maple syrup. The microwave isn’t just for heating yesterday’s leftovers. Make homemade macaroni and cheese by sprinkling grated soft cheese and white pepper over a bowl of elbow pasta. Pour in some milk for added creaminess. Lasagna is another very easy recipe. With a bowl, mix spaghetti sauce, basil leaves, ground pepper, and sliced sausages. Spread some of the mixture evenly across the bottom of a baking dish, then top it with a layer of lasagna noodles followed by about a cup of ricotta cheese and mozzarella. Repeat the process once more. Haier makes food preparation easier with small appliances designed to simplify kitchen work. The brand’s electric ovens feature a 60-minute timer, adjustable temperature from 100 to 250 degree Celsius, and quartz tube heating elements for efficient cooking. Added grill rack and food tray allow for different types of cooking, while the removable crumb base tray makes cleaning hassle-free. 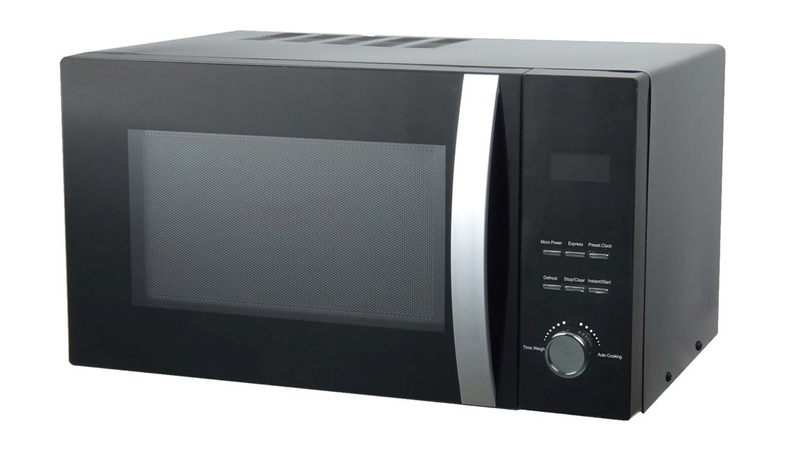 Microwave ovens from Haier are available with either mechanical or digital controls. Mechanical models offer six power levels, while digital models have five power levels to choose from. Both types are designed with a glass turntable and internal lighting, along with features such as alarm signal and maximum power adjustment. “Small appliances like microwaves and oven toasters provide modern households with better efficiencies so that families can spend more time at the dinner table than in the kitchen,” Agdamag said. Haier oven toasters and microwave ovens are available in leading department stores nationwide. Both appliances come with a one-year warranty for parts and service.